Can Medication Errors Be a Result of Nursing Home Neglect? Elder Care Abuse Lawyer in Phoenix AZ Explains Can Medication Errors Be a Result of Nursing Home Neglect? The majority of nursing home patients are on medication that has been prescribed because of a medical condition. Tragically, one of the most common types of medical mistakes for elderly patients is when a patient is given the incorrect type or dosage of medication. This often occurs in nursing homes and the results can be life-threatening, or even fatal. When medication errors occur because of the negligence of nursing home staff, the victim and their families can pursue damages against the facility. At Rispoli Law, PLLC, we have been aggressively advocating for nursing home negligence victims and their families for a number of years. We are dedicated to getting victims the justice and financial compensation they deserve. If your loved one has been injured because of a medication error or some other negligence on the part of nursing home staff, contact our Phoenix AZ office today. · Mix-up of medication: When medication meant for one patient is given to another patient. · Improper dosing: When a patient is given either too much or not enough dosage of a medication. Proving that medication errors were the result of negligence can be difficult in Phoenix AZ without the assistance of a skilled and experienced elder care abuse lawyer. Unfortunately, many facilities who engage in negligent care of their patients are adept at covering it up. At Rispoli Law, PLLC, we are well-versed and knowledgeable when it comes to the manipulations that nursing home facilities and their attorneys may attempt to use in order to avoid paying the legal price for abusing patients. If you suspect your loved one is being abused or neglected by nursing home staff, contact Rispoli Law, PLLC immediately. 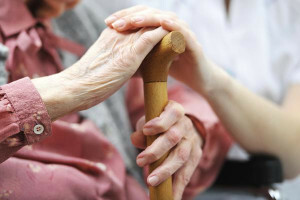 It is critical that you speak with an elder care abuse lawyer Phoenix AZ families trust when it matters the most. At our firm, we can direct you to the proper local and state agencies that need to be contacted, as well as law enforcement, if the circumstances require it. Once your loved one is out of harm’s way, we may take the steps needed to file a lawsuit against the nursing home facility in order to seek justice and financial compensation for your loved one’s pain and suffering.